Disabled man find his wings. Born in Kolkata in 1977, Gautam was abandoned by his mother after he contracted polio when he was very young, 18 months old. His ‘original mother’ took him to the Missionaries of Charity in Kolkata because she could not care for him. ”After being abandoned, he spent six years at orphanages He doesn’t have too many memories of the seven years he spent in India except for going to church every Sunday with Mother Teresa and flying kite on the roof of his orphanage. In UK everything was massively different, and the education was second to none to him, he basically began his education at the age of about 10. 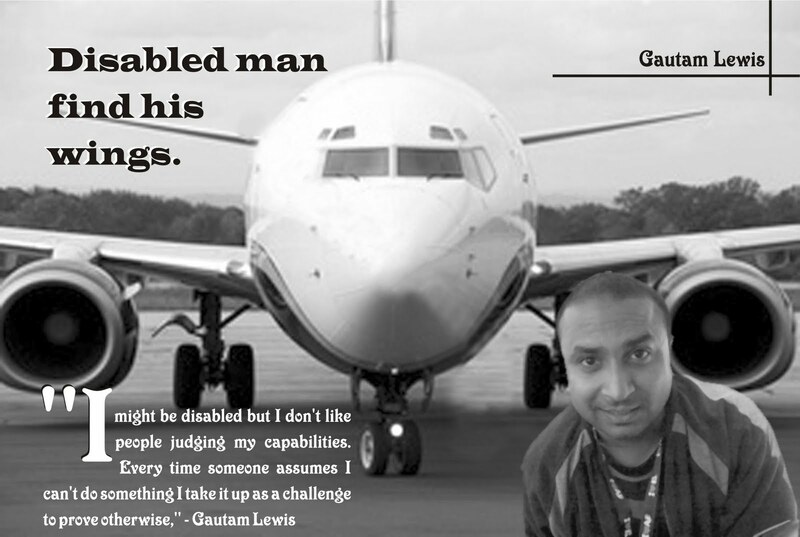 Backed by a top education, Gautam realized that, despite his disability, he could achieve whatever he wanted to achieve. On finishing school, Gautam held various photographic exhibitions. In 2001 he began his career in music management, and his success bought him to the attention of the iconic Alan McGee, the driving force behind Oasis. “I literally became his right hand man,”. “My nickname in the business was Mr. Shoe because I would often lose a shoe at gigs but I would always find it again afterwards.” said Gautam. For as long as he can remember Gautam said he has been thrilled by aviation. 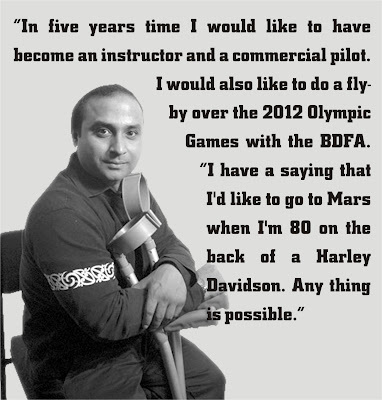 “I have always wanted to be a pilot. When I left India I was crying and upset but as soon as I got on the plane I was quiet I was fascinated. The only thing that calmed me down was the airport which I had never seen before. Flying was an even more fascinating experience and that flight was symbolic of a new beginning for me. Since then I had harbored a dream to become a pilot,” says Lewis. While continuing his career in the music industry he owns a private management consultancy which specializes in the charity sector signifevents.com and also works for an event management firm. Lewis now wants to become a flying instructor. He wanted to set up a flying school for the disabled and also organize fund-raising programmes for disabled and polio patients. Gautam has managed rock bands -big ones. 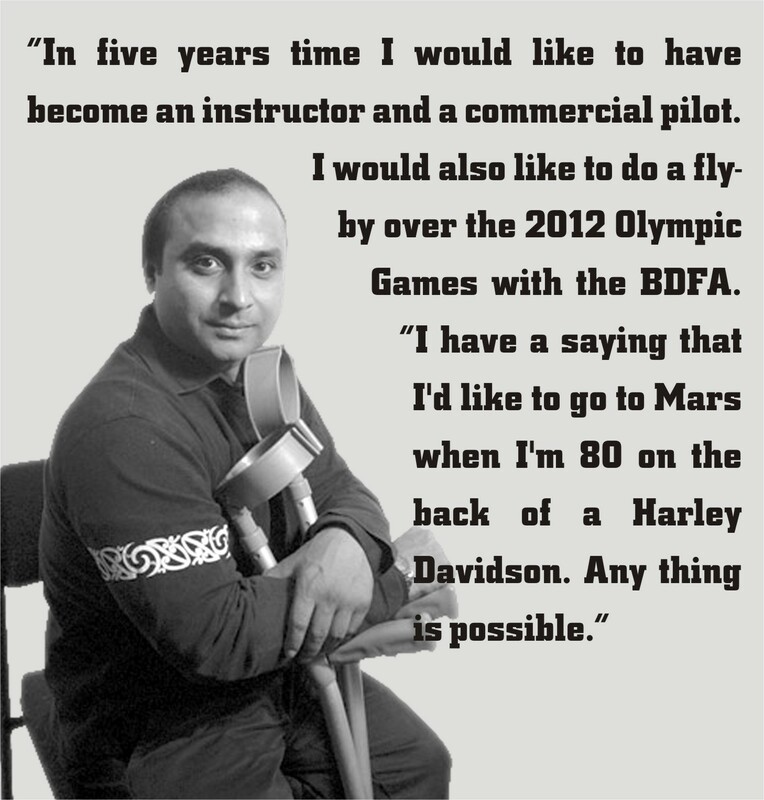 He has his pilots license – he takes disabled children flying. He is the Rotary ambassador for polio awareness in India, a single person exhibited so many qualities. He has been brought back to India to highlight the need for vigilance and vaccination. It is possible to give any child every chance to feel hope, love, affection, family, because with family you can really let go. Be mad, sad, angry, frustrated curious, happy. Thank god that Gautam had such pure bravado. Thank god that Patricia Lewis nurtured hope, in the handicapped child of an orphanage. His adoption into a loving home might be good fortune and he is lucky to have got so many opportunities which other polio victims may not have. However, it’s Gautam lewis will power and discipline that led to his success. Hats off to the invisible courage of Gautam Lewis.